What separates great deer hunters from the rest of us? Last week I took an opening look at successful whitetail hunters by examining some of the stages they go through as they learn to hunt mature bucks. This week I’ll profile one such hunter and examine some of the specific tactics and methods that have led to his success. 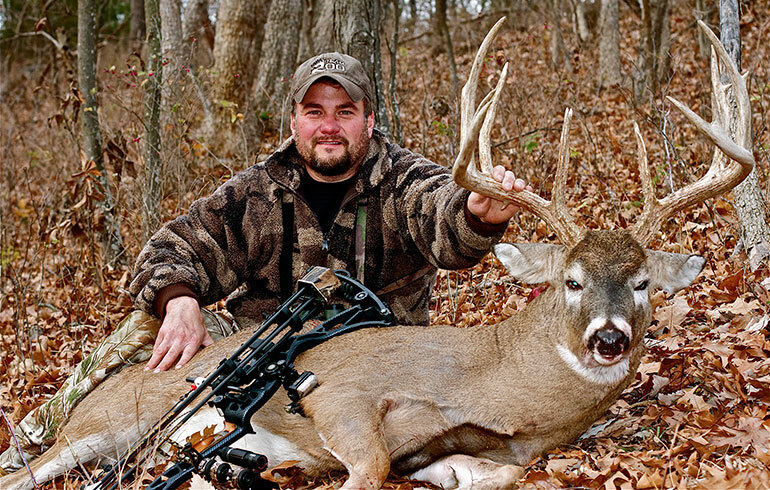 Adam Hays is one of the nation’s most accomplished whitetail hunters. Though barely middle aged, he has tagged 9 whitetails that score over 170” and three (yes, 3) of those bucks have surpassed the 200” mark. All of these trophies have been bowkills. While most of you obviously hunt with a rifle, I also suspect some (like me) are multi-weapons whitetailers. And if you’re not, you should be, simply because doing so allows you more time in the deer woods and, by default, more chances at a big deer and/or venison. *Scout more than hunt: There is no such thing as TMI when it comes to killing a big buck you’re after. Every shred of evidence—this rub, that scrape, every possible food source, any sighting—fits together in a puzzle that explains the buck’s life. Adam scouts relentlessly in the off-season, pre-season and while the hunt is on. *Watch the moon: Hays has been relying on the hunter’s Moon Guide (www.mooonguide.com) since the mid-1990’s and has found it scarily accurate in predicting when deer are most likely to be on their feet. “Basically, those times are called ‘red moons’—when the moon is directly overhead or underfoot—and they amount to a handful of days each month during the hunting season. Most of the big bucks have come within an hour or two of when the Moon Guide predicted peak deer activity,” Hays says. Outdoor Skills hunting tips, whitetail. permalink.